Looking for a way to give to United Way of Sumner County and make a difference in your community? If your workplace doesn't host a United Way campaign, you can still help us reach our $1 million campaign goal for 2018. 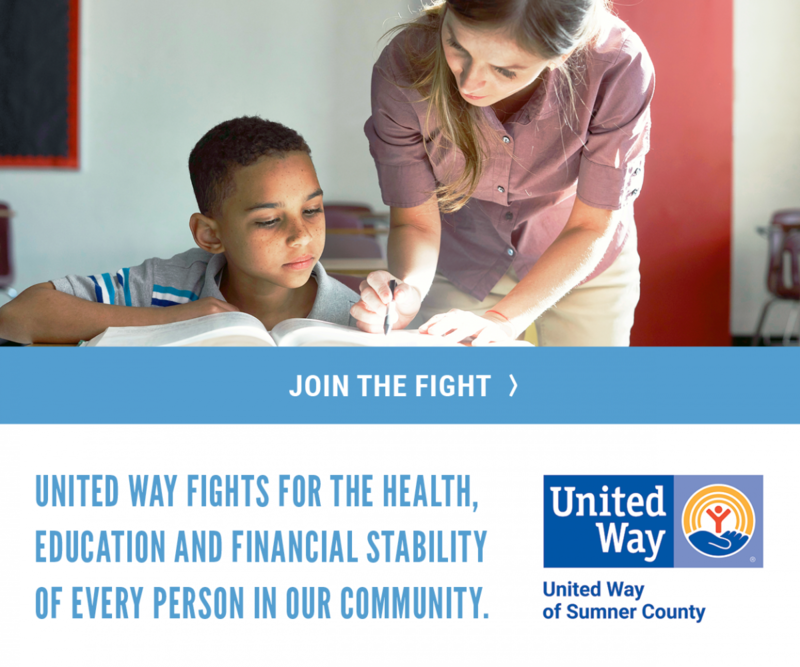 United Way of Sumner County fights for the health, education, and financial stability of every person in every community. Because change doesn’t happen alone. Hope isn’t a one-man band. We have one life. To live better, we must LIVE UNITED. Please complete the contact information below. Thank you.